(Woodbury, MN –November 16, 2016) – Ideal Credit Union’s popular $1,000 Debit Card Giveaway is back for another four weeks this holiday season. To qualify, members simply register for the promotion online at www.idealcu.com. Then, each time they use their Ideal CU Cash & Check Debit MasterCard® for purchases, they earn a chance to win one of Ideal CU's four weekly $1,000 random drawings. Members can earn 100 bonus entries when they make 25 or more purchases a week using their Ideal CU Debit MasterCard. (Woodbury, MN – October 27, 2016) Faith Tholkes, Vice President of Mortgage Services at Ideal Credit Union, has once again been named a Super Mortgage Professional for 2016 by Mpls.St.Paul Magazine and Twin Cities Business. Tholkes was first recognized for this prestigious honor in 2014. She was nominated for the award by clients who view her as a mortgage professional who demonstrates exceptional ability and service. (Woodbury, MN – October 18, 2016) A strong showing of support enabled the Ideal CU Community Foundation to raise a record $23,291 at its seventh annual golf tournament on September 12, 2016, which is over a 25% increase from the previous year. The event, held at StoneRidge Golf Course in Stillwater, attracted 110 golfers and 46 sponsors. The foundation will use the funds to aid local education, food shelf and community initiatives. (Woodbury, MN – October 13, 2016) Ideal Credit Union has announced the promotion of Chris Friederichs to Vice President of Lending Operations. Friederichs started his career with Ideal CU in 1989 as a teller, then moved into lending operations and member services. Prior to his promotion, he served as Director of Central Underwriting. 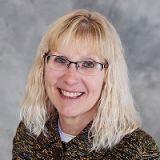 Friederichs is a trusted lending professional with over 27 years of financial experience. (Woodbury, MN – October 4, 2016) Sarah Jaeger has been promoted to branch manager of Ideal Credit Union’s new Stillwater office, which is scheduled to open in late 2016. (Woodbury, MN – September 20, 2016) – Ideal Credit Union has been honored with a 2016 Desjardins Youth Financial Literacy Award for its “Money Talks” Financial Literacy program. The unique peer-to-peer program is taught by high school age Ideal Student Credit Union employees to high school age students, and features the building blocks of personal finance: budgeting, savings and investments, credit, and money management tools. Ideal Credit Union's winning entry now moves to the national competition, where it will compete with financial education projects from credit unions in other states. (Woodbury, MN – September 16, 2016) – Ideal Credit Union has launched a don’t text and drive awareness campaign designed to call attention to the dangers of distracted driving and encourage the public to take a pledge to put the phone away when they get behind the wheel. The “Stop the Texts, Stop the Wrecks” campaign consists of 15 and 30 second TV ads on Twin Cities stations WCCO and KSTP, an online pledge located at idealcu.com/pledge, and efforts to increase awareness through its social media channels. The two ads can also be found on Ideal CU’s YouTube page. (Woodbury, MN - September 1, 2016) Alisha JR Johnson was recently promoted to Executive Vice President of Operations for Ideal Credit Union. Johnson joined Ideal in May of 2010 as Vice President of Marketing, and was promoted to Senior VP of Marketing, Sales & Service in August of 2012. In her new position, she is responsible for strategic development and management of operating units including branch operations, contact center, wealth management, business services, member relations and marketing. Included in the EVP of Operations role is responsibility for ensuring that professional business relationships are established and maintained with members, strategic vendors, the business community and trade organizations. 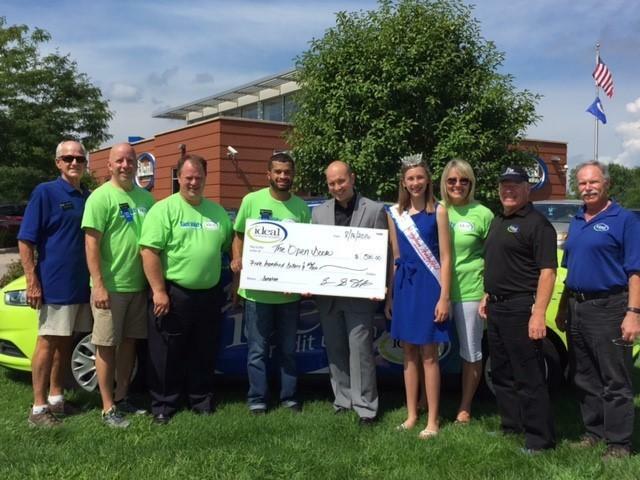 (Woodbury, MN – August 25, 2016) – Ideal Credit Union celebrated its milestone of 90 years in business in a big way in August, throwing a week-long 90th Anniversary/Community Appreciation Event at all five branches, giving away $5,000 to five lucky grand prize winners and donating $2,500 to local food shelves. (Woodbury, MN – August 4, 2016) Ideal Credit Union recently hosted two sessions of its popular “Money Talks” financial literacy program in July, attracting 58 students from around the metro area. The peer-to-peer program, led and taught by Ideal CU Student Credit Union employees, teaches students the building blocks of personal finance: budgeting, savings and investments, credit, and money management tools. Students in attendance came from all different locations, including Inver Grove Heights, Maplewood, Mahtomedi, Somerset, St. Paul, Centerville, Apple Valley, White Bear Lake and more. (Woodbury, MN - July 29, 2016) Ideal Credit Union is inviting members and the community to “Crack the Vault” at this year’s Community Appreciation/90th Anniversary event week for a chance to win $1,000 in one of its daily giveaways! Now in its third year, the annual summer celebration will be held August 15-19, 2016. Ideal is celebrating its 90th Anniversary with food, fun and daily give back to local communities. 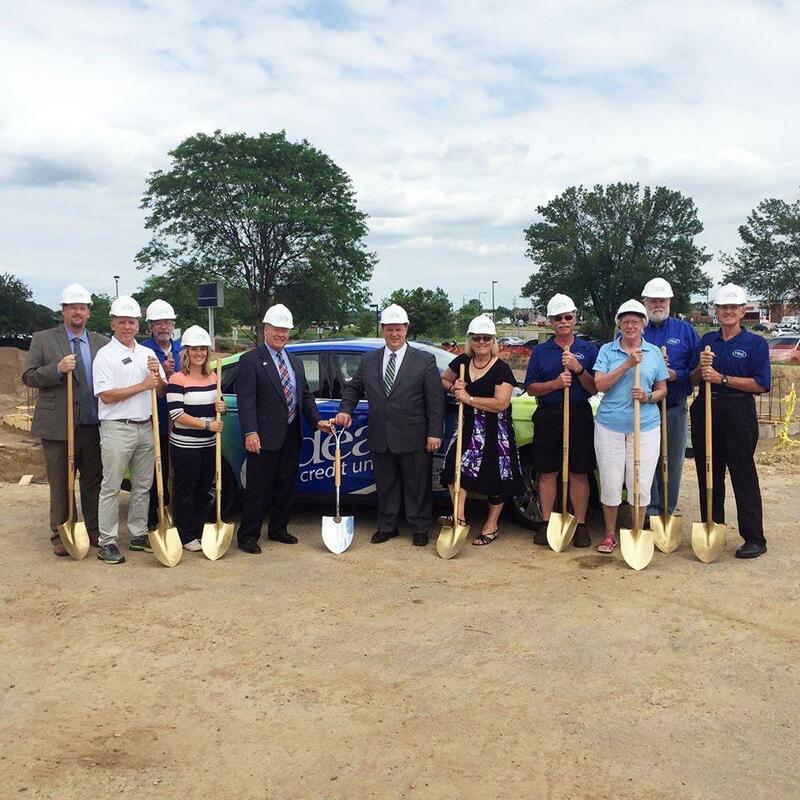 (Woodbury, MN - July 6, 2016) Ideal Credit Union recently celebrated the groundbreaking of its newest location in Stillwater with a “ceremonial groundbreaking” held onsite on June 22, 2016. In attendance were members of the Ideal CU senior leadership team and board members joined by the Greater Stillwater Chamber of Commerce Executive Director Robin Anthony, MnCUN Vice President of MnIPC Dean Scholl, MnCUN Director of Communications Andrea Molnau, James Steele & Company Senior Field Superintendent Mike Sonnek, Collaborative Design Group Incorporated Principal Bill Hickey and Architect Elizabeth “Bess” McCollough. The new office is scheduled to open in late fall of 2016. (Woodbury, MN – June 22, 2016) Herbert “Jay” Hall has joined Ideal Credit Union as Director of Branch Operations. Hall has over 27 years of experience in the financial services industry. He started as a teller at Norwest Bank, which later merged with Wells Fargo, and worked his way up to District Manager, where he oversaw the daily operations of seven Branch Managers. Prior to joining Ideal, he worked as Branch Manager for Wings Financial Credit Union and coordinated the opening of the new Wings office in Woodbury. (Woodbury, MN – June 15, 2016) Scott Zoellner has joined the Wealth Advisors team at Ideal Credit Union. Zoellner has worked in the investment and insurance industry for over 20 years, most recently with Prudential Advisors, where he was a manager recruiting and developing junior Financial Advisors for over 9 years. 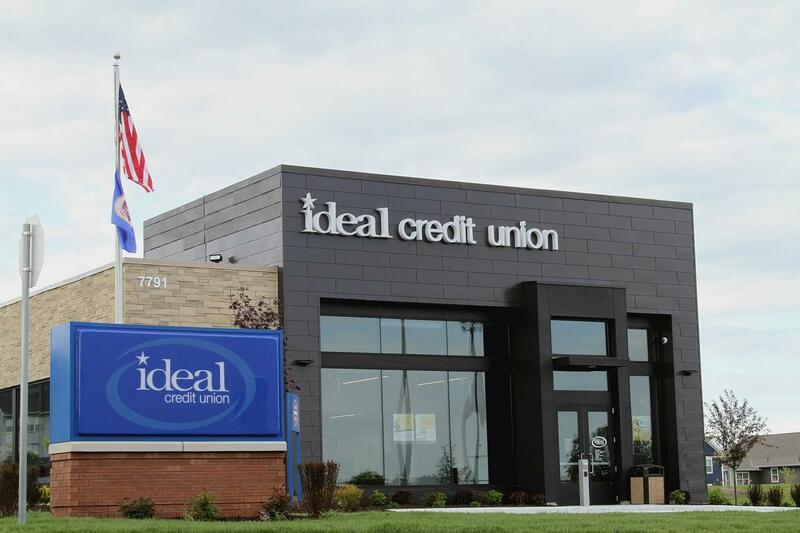 (Woodbury, MN – May 19, 2016) Ideal Credit Union has moved from South Robert Street in West St. Paul to a new state-of-the-art facility in Inver Grove Heights. Located at 7791 Amana Trail, in the Argenta Hills development next to Target, the new Inver Grove Heights office opened for business on Monday, May 9, 2016. The new office is approximately 3,000 sq. ft. and offers a tech-savvy approach to traditional banking, utilizing technology and self-serve features both inside and out. (Woodbury, MN – May 12, 2016) Ideal Credit Union was recently selected to receive an Excellence in Community Education Leadership (EXCEL) Award by the ISD 622 Community Education Advisory Council. Each year the council recognizes individuals and groups who have demonstrated a commitment to lifelong learning with EXCEL awards. (Woodbury, MN – April 26, 2016) Keith E. Hauge, Chairman of the Board of Ideal Credit Union, was recently named Outstanding Credit Union Volunteer of the Year by the Minnesota Credit Union Network (MnCUN). The award honors the noble service of one outstanding volunteer who best exemplifies the credit union spirit through dedication to, and belief in, the credit union movement. (Woodbury, MN – February 19, 2016) Brian Sherrick, President/CEO of Ideal Credit Union, has been appointed to the Federal Reserve Bank of Minneapolis’ Community Depository Institutions Advisory Council (CDIAC). Sherrick will serve a three-year term on the 13-member council, which acts in an advisory capacity not only to the Minneapolis Bank, but also the Board of Governors in Washington, D.C.
(Woodbury, MN – January 21, 2016) – Ideal Credit Union has returned 11% of its 2015 earnings to members through its exclusive VIP Program, the fourth consecutive year for the generous payout to VIPs. Ideal is the only credit union in Minnesota offering this type of rewards program, believed to be the first of its kind in the state. (Woodbury, MN – November 24, 2015) – Ideal Credit Union's VIP Member Rewards Program was recently selected as the winner of the OnApproach Big Data & Analytics first ever Credit Union Industry Analytics Best Practices Competition. Four finalists were selected to showcase their hottest reporting, dashboarding, and/or analytics work product at the OnApproach Big Data & Analytics Conference. The goal of the competition is to help the credit union industry become more analytically driven by collaborating and sharing best practices.